Over 400 students from 27 different school districts competed for spots in the seventh and eighth grade District Honor Bands. Cassville Middle School had four musicians who earned the prestigious honor. On January 19, honor band participants spent the day at Webb City in rehearsal and concluded the evening with a concert. 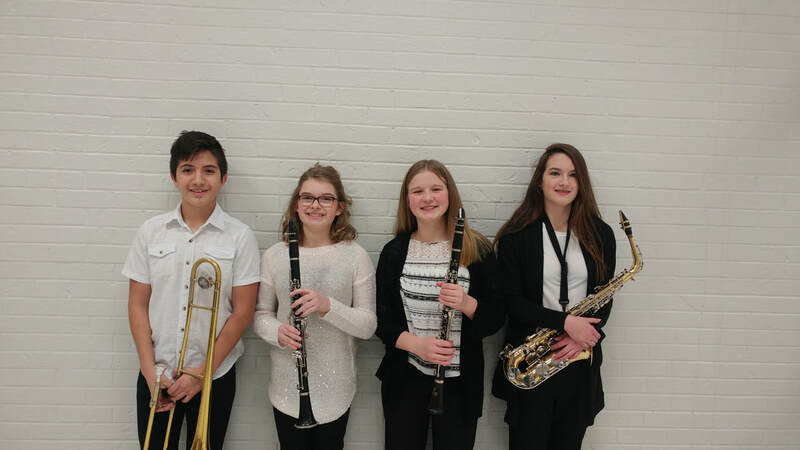 Those students are pictured, from left to right, in the front row: Ivan Perez, 8th grade trombone; Chaney Cox, 7th grade clarinet; Tori Mitchell, 7th grade clarinet; and Kristen Stough, 8th grade alto saxophone.